LOS ANGELES, CA - JULY 21, 2012 – Under the banner of PBS ELECTION 2012, PBS’ acclaimed news and public affairs shows NEED TO KNOW, PBS NEWSHOUR, WASHINGTON WEEK and FRONTLINE will bring viewers insightful coverage of the fall’s biggest election news and events, each with its own unique perspective. In addition, two new specials announced today — AMERICA BY THE NUMBERS: CLARKSTON, GEORGIA WITH MARIA HINOJOSA and RACE 2012 — will help round out PBS’ slate of election-year programming. 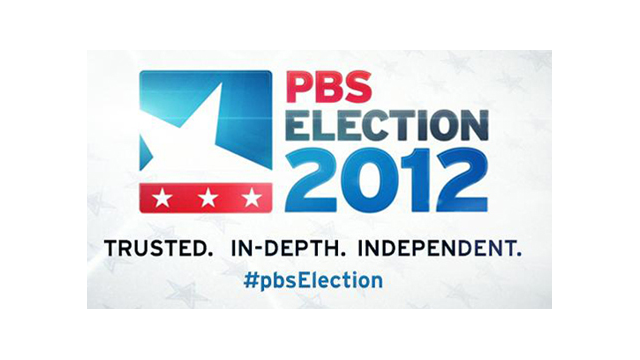 In addition to previously announced PBS Election 2012 programming, two new programs about the changing face of America and how those changes may affect this year’s presidential election — and the country’s political future — have been added to the lineup this fall. AMERICA BY THE NUMBERS: CLARKSTON, GEORGIA WITH MARIA HINOJOSA is a NEED TO KNOW Election 2012 Special Presentation that looks at the changing demographics in the United States through the story of a small Southern town that has seen dramatic shifts in its population over three decades. The program airs Friday, September 21, 8:30 p.m. ET. RACE 2012 uses the current presidential election as a lens through which to view America’s racial landscape and the competition among candidates for votes from various ethnic groups. RACE 2012 airs Tuesday, October 16, 2012, 9:00 p.m. ET, with an encore on Friday, October 19, 2012, 9:00 p.m. ET. RACE 2012, a PBS Election 2012 special produced and directed by award-winning filmmaker Phillip Rodriguez, uses the current presidential election as a lens through which to view America’s racial landscape. Among other issues, RACE 2012 delves into immigrants’ reshaping of the American electoral landscape, white voters’ reactions to their declining numbers and diminished influence, and the economic imbalance between races that may affect America’s political future. Fast-moving and non-partisan, RACE 2012 draws insights on racial political history from notable analysts, strategists and activists. PBS NEWSHOUR Monday-Friday, 7:00-8:00 p.m. ET Election-focused programming continues with gavel-to-gavel coverage of the conventions in Tampa and Charlotte, live web streaming of the political activity and conversations with local delegations throughout the day on the ground. On air, PBS special broadcast coverage will begin at 8:00 p.m. ET each night of the conventions and continue LIVE until the conclusion of the proceedings at approximately 11:00 p.m. ET. Gwen Ifill and Judy Woodruff co-anchor live coverage of election specials, including the presidential debates on October 3, 16 and 22 at 9:00 p.m. ET and the vice-presidential debate on October 11 at 9:00 p.m. ET, each followed by a 30-minute analysis. NEWSHOUR covers election night on November 6, beginning at 6:00 p.m., with a full evening of news and analysis. WASHINGTON WEEK WITH GWEN IFILL AND NATIONAL JOURNALFridays, continuing series, 8:00-8:30 p.m. ET Gwen Ifill hosts PBS’ longest-running public affairs series, which features Washington’s top journalists analyzing the week’s top news stories and their effects on the lives of all Americans. This election season, WASHINGTON WEEK will also venture outside the Beltway with a series of live “road shows” from Tampa, Charlotte and St. Louis. MONEY AND MEDICINETuesday, September 25, 2012 9:00-10:00 p.m. ET This documentary examines the medical, ethical and financial challenges of containing runaway healthcare spending. In addition to illuminating the so-called waste and overtreatment that pervade our medical system, the special explores promising ways to reduce healthcare expenditures while improving the overall quality of medical care. MONEY AND MEDICINE was produced by Public Policy Productions and is presented by WNET New York. FRONTLINE “The Choice 2012”Tuesday, October 9, 2012, 9:00-11:00 p.m. ET Barack Obama and Mitt Romney have crafted their campaign narratives, telling you who they are, what they’ve done and how they would lead America. But there’s more to their stories. In “The Choice 2012,” acclaimed FRONTLINE producer Michael Kirk (“Money, Power and Wall Street,” “Top Secret America”) documents the places, people and decisive moments that made the men who are competing for the presidency. Hundreds of hours of research and dozens of original interviews reveal new details and fresh insights about the two candidates — and our choice this November. NEED TO KNOW “Campaign 2012”Fridays, continuing series, 8:30-9:00 p.m. ET This weekly 30-minute news magazine series, with reporting from across the country, covers political issues from Main Street’s point of view. It profiles up-and-coming political leaders and will report regularly from the road in key states. Respected and experienced media professionals, including Scott Simon, Maria Hinojosa, Ray Suarez and Jeff Greenfield, both anchor the program and report from the field. For more information on PBS Election 2012, including programming from PBS NEWSHOUR, WASHINGTON WEEK, FRONTLINE and NEED TO KNOW, visit pbs.org/election2012 and follow #pbsElection on Twitter.